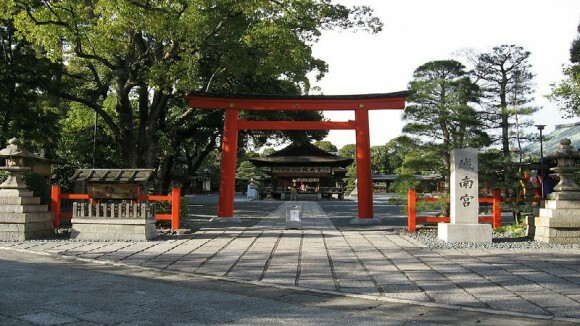 Weeping plums and camellia festival is soon!! 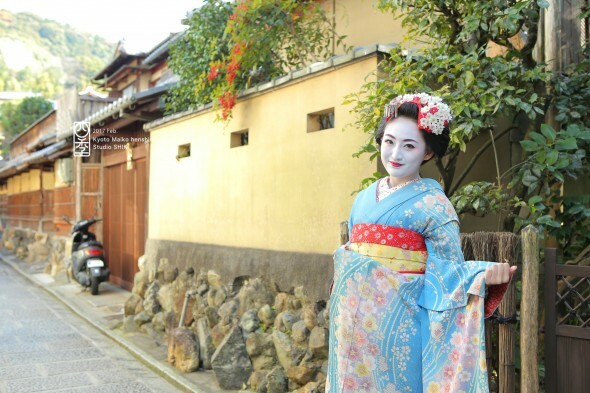 Today I would like to introduce our maiko and the information about events in Kyoto! In last month, she visited to our shop, she was really good at posing! 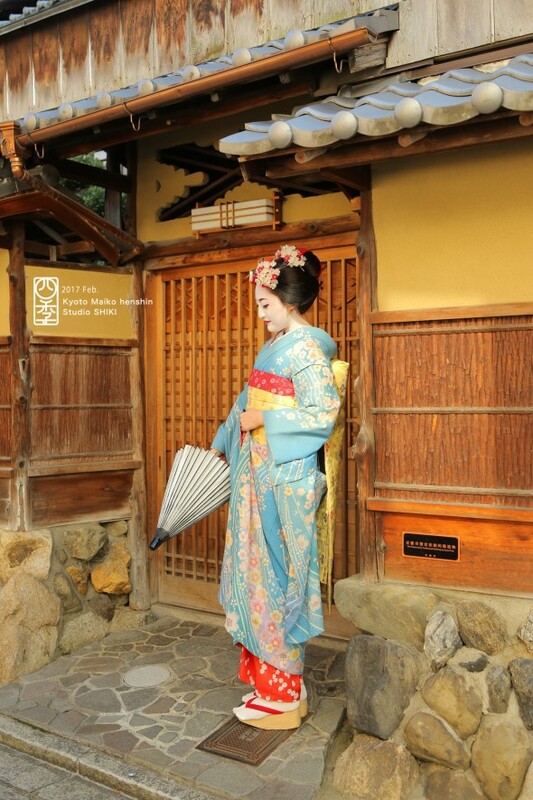 Winter season, Kyoto is very cold, but I think you can get great pictures at our shop! Please come to here someday! 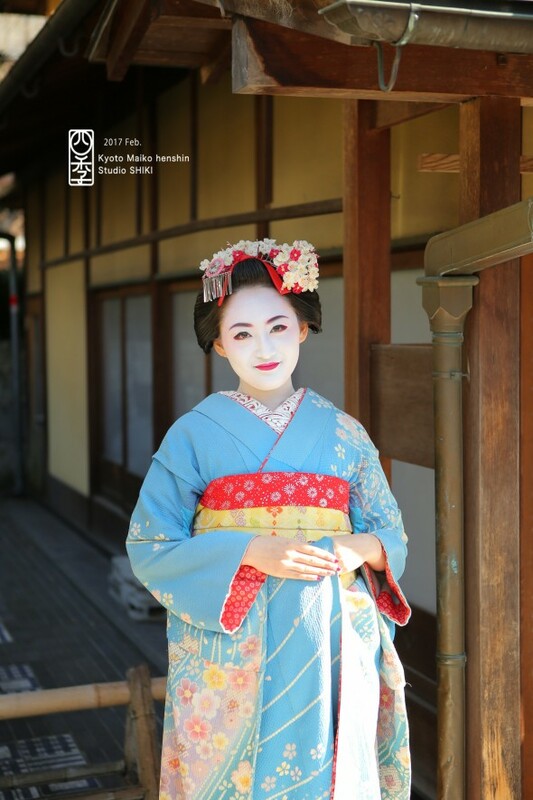 Next, about event in Kyoto. This website is good for informations below. Please enjoy middle-bloomed plums while looking for the coming of spring. The early plums have a strong color and lively blooming compared with full or late plums. You can enjoy 150 full-blown plums. It is a surely magnificent scenery. You can’t help stopping in front of these plums. 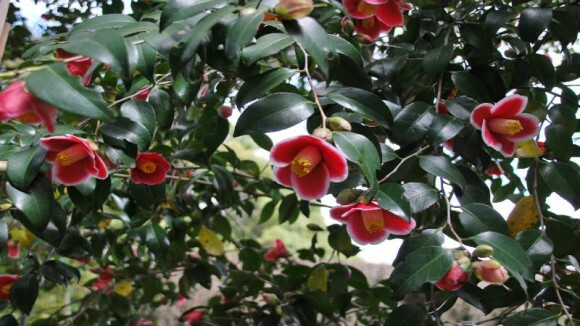 The 300 pieces of camellias bloom bit by bit from the gate of Zinen to Heian garden. ‘Hatsuarashi’ which begins to bloom at the middle of December. ‘Akebono’, which is a big and pink color camellia and cute scarlet ‘Jonan camellia’ and other kinds of camellias satisfy us. Please find out your favorite camellias among the various camellias. 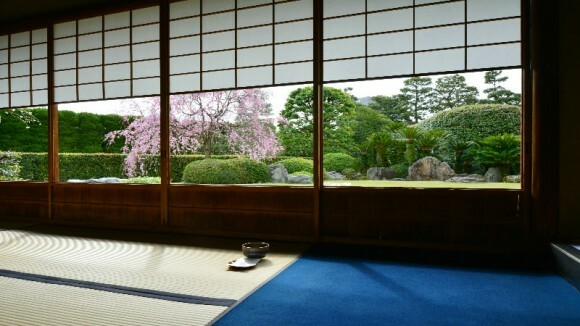 Other Visitors are fewer in the early blooming period, so you can enjoy with relaxation. A great day to visit in the late blooming period is the next day of a strong wind or rain. Because, a lots of plum petals are fallen and these petals may make a beautiful plum petals carpet.